It is great to show a new class good examples from the previous year. It is useful, for both teachers and students, to reflect on the key learning and progress that has occurred. Capturing work and celebrating it makes tasks more meaningful for students. Putting work online gives students a genuine audience. My students have just finished a big project about World War 2. I needed a simple app to turn a book into an animation. 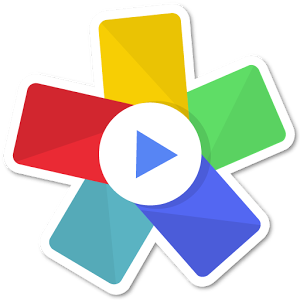 I decided on Slideshow Maker which is available on Google Play. After capturing the students’ work, why not share it online? Try Google Classroom or a class blog. Finally, it is time consuming to do this for each student, so pick the top ones or maybe even teach students how to do it. They may even like a digital copy themselves so they can share it on their personal social media channels! Have you ever made a book into an online animation? How did you do it? Leave any comments below. Previous Schoolsask: an excellent way for teachers to share knowledge and ideas.